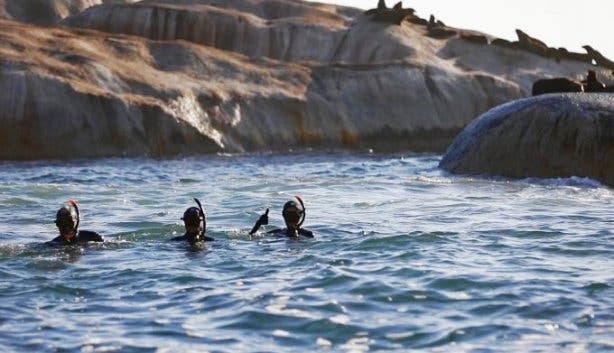 Freediving in Cape Town is growing fast. And we have some friends that specialise in awesome marine adventures right from the Waterfront. Check out Ocean Experiences. 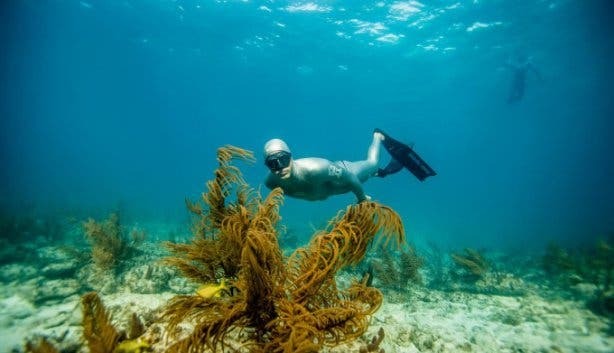 Freediving requires way less gear: Mask, fins, guide line and freediving buoy, and you’re off. No cylinders or gauges. It’s all about technique, though. 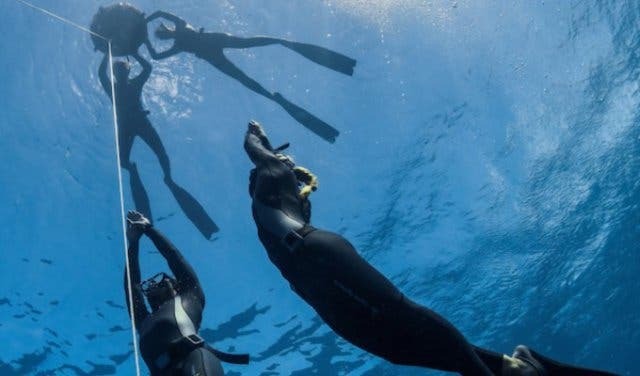 Freediving is literally learning to hold your breath (with some training), equalising properly and diving underwater and experiencing the ocean and its life in a more natural and personal way. It’s just you and the ocean, no complicated gear. Never freedived before? No problem. Ocean Experiences offers PADI freediving by qualified instructors of various levels. From a two-day beginner course where you practise techniques in the controlled environment of a pool before braving open water, to open water, advanced and combo courses. Whatever your skill level, Ocean Experiences makes sure you have everything you need to ensure that your freedive is safe and fun. They’re a 5-star PADI dive and freedive centre with a 100% safety record. 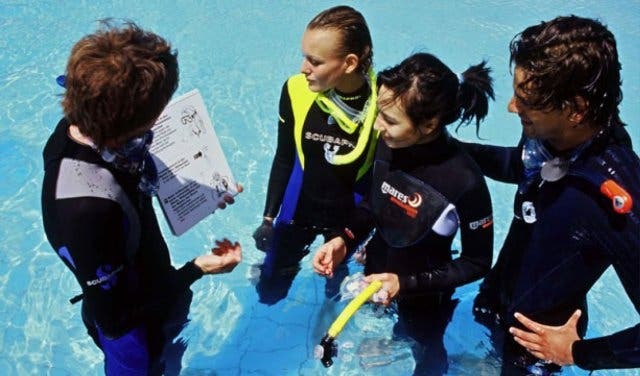 And they supply the gear and all training, and all dives are led by experienced, qualified PADI professionals and trainers who’ve led countless dives under their belts. 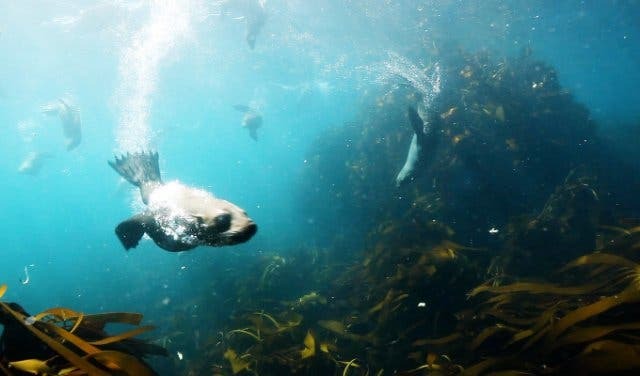 A cool alternative to snorkelling or scuba with seals, you can freedive with these incredible marine mammals in a small group, experiencing one of the lesser-known (and uncrowded by other boats and divers) cape fur seals communities in Cape Town. It’s one of Ocean Experiences’ most popular seal snorkelling and diving experiences. 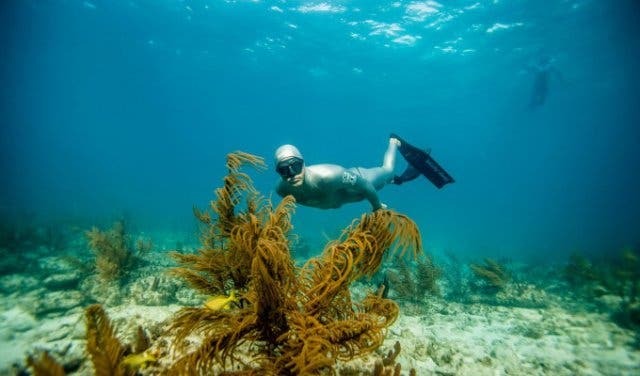 Already an experienced freediver? Ocean Experiences can help you organise your dive in Cape Town. 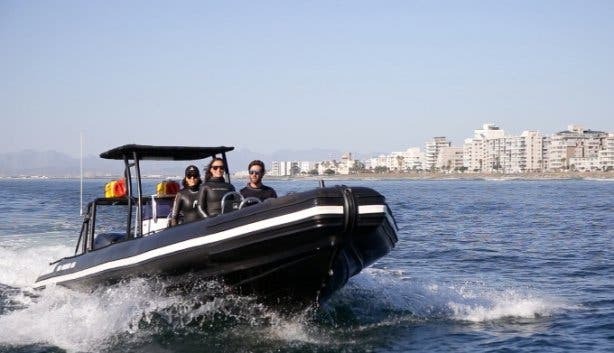 From the normal depths of 10-metre dives to something deeper, they know the city’s waters very well and can provide the boat and support for your excursion. No need to lug your equipment along, Ocean Experiences supplies everything you need for your freedive. 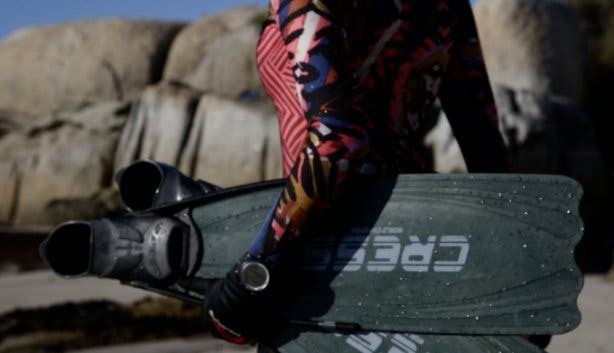 From the mask and fins to the wetsuit and a the free-diver weight belt. Staying within a 5km radius of Cape Town CBD? Let Ocean Experiences know when you book and they’ll organise free transport to and from your dive. Looking for a traditional diving option? 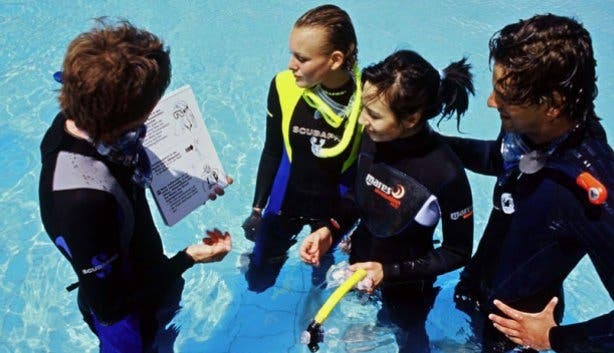 See Ocean Experiences’ PADI diving courses as well as shore dive and rib boat scuba diving tours.